Today I have a insanely cute Halloween decor idea that would look adorable around your home or at a Halloween themed party! All you need is some left over craft supplies (if your a crafter like me you probably all ready have most of this stuff) and a creative mind! 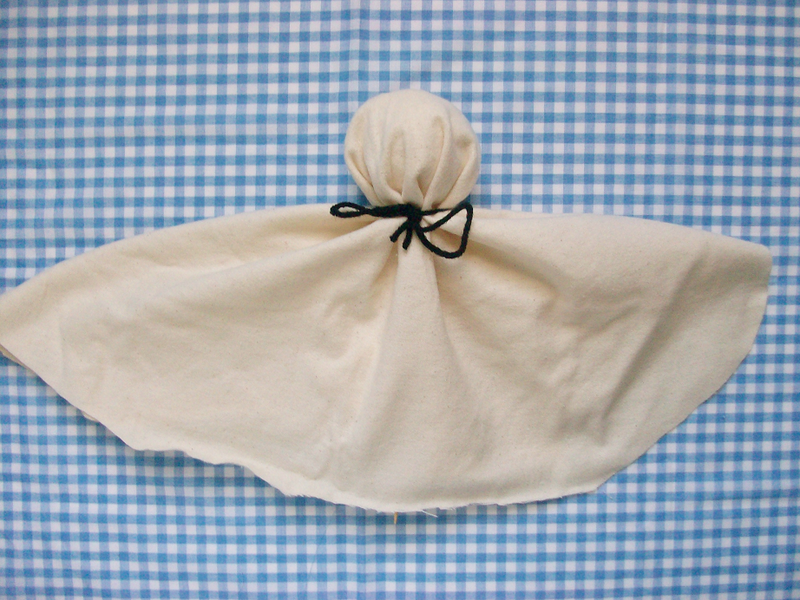 You don't have to use the exact same stuff you can use whatever you already have laying around your house. 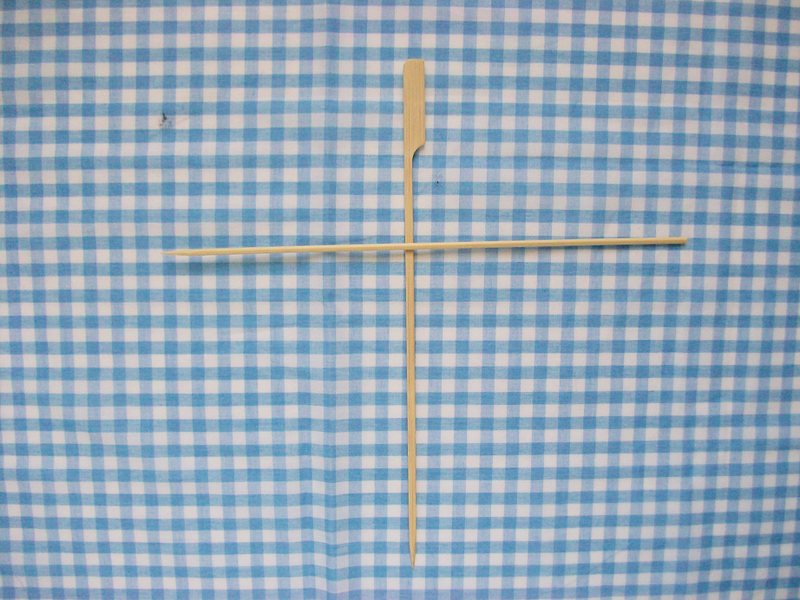 Step 1: Using a glue gun glue the two skewers across from each over to form a "T". Leave to cool before moving on to next step. Step 2: Glue the stuffing on to the top part of the skewers to form the head. 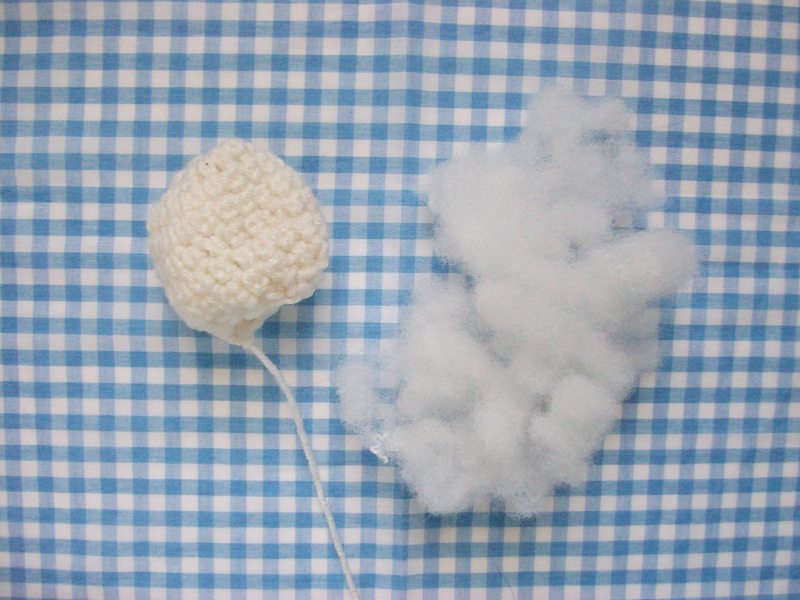 I actually had a leftover crocheted ball laying around in my craft drawer so I decide to use that instead to make the head appear more rounded. 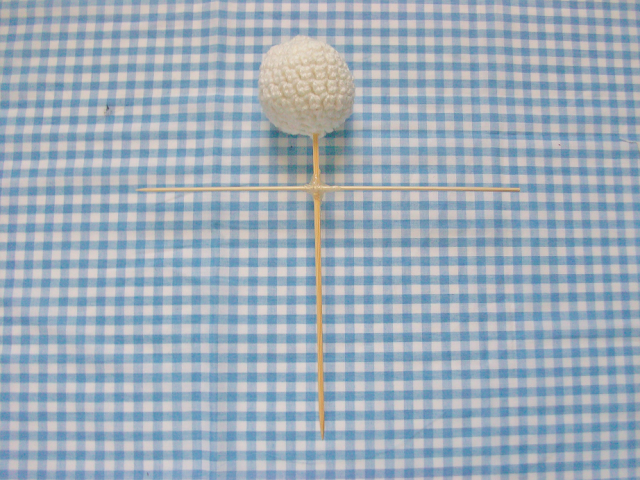 If you know how to crochet just crochet a small ball and stick it on instead of the stuffing. 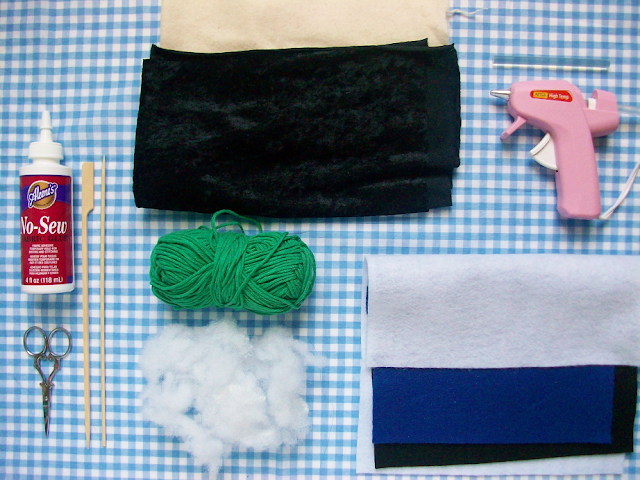 Step 3: Layer a square of fabric over the head and tie some yarn around the neck to secure the fabric. Step 4: Using some black felt cut out some eyes to give your scarecrow some personality. Step 5: Glue on some yarn for the hair. 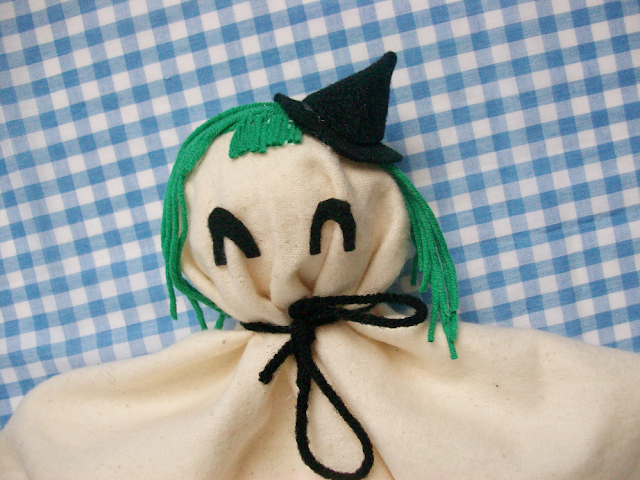 Step 6: To finish off the witch scarecrow I made a tiny witch hat using some black felt then glued it on top of the head. 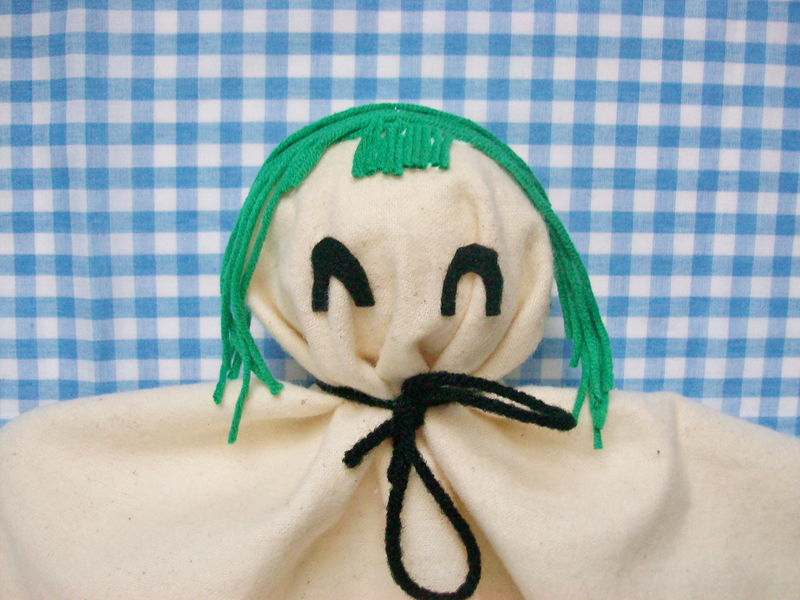 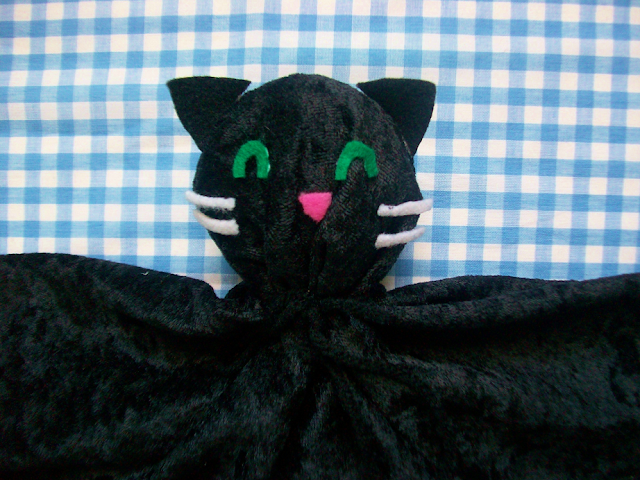 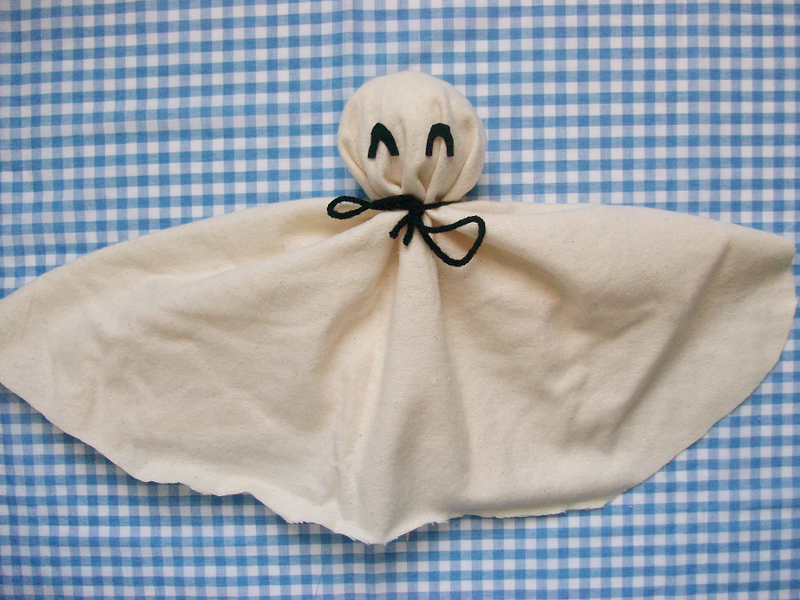 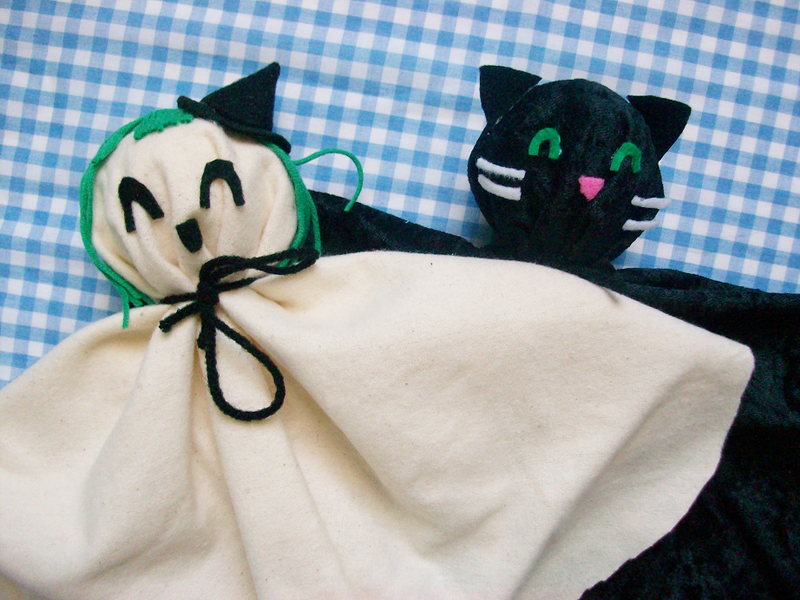 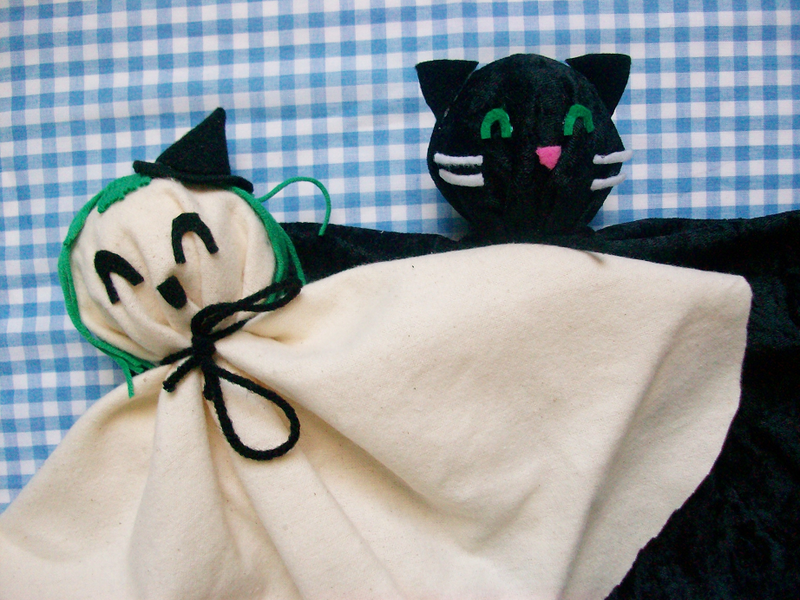 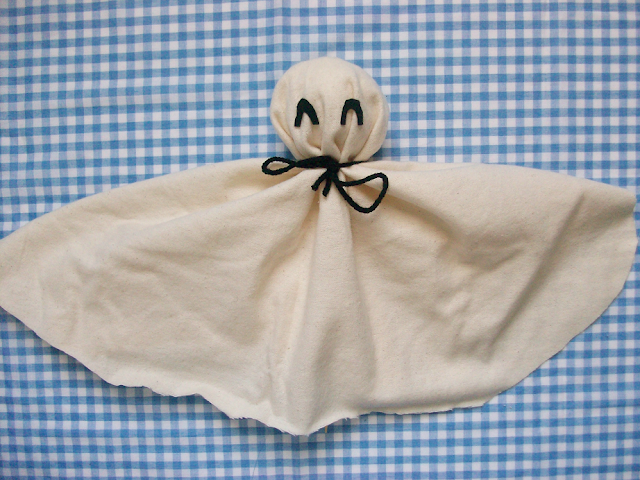 To make a cat scarecrow repeat all the step but use black fabric instead and decorate the head like a cat. I made the ears by cutting out black felt and gluing them on top of the head. 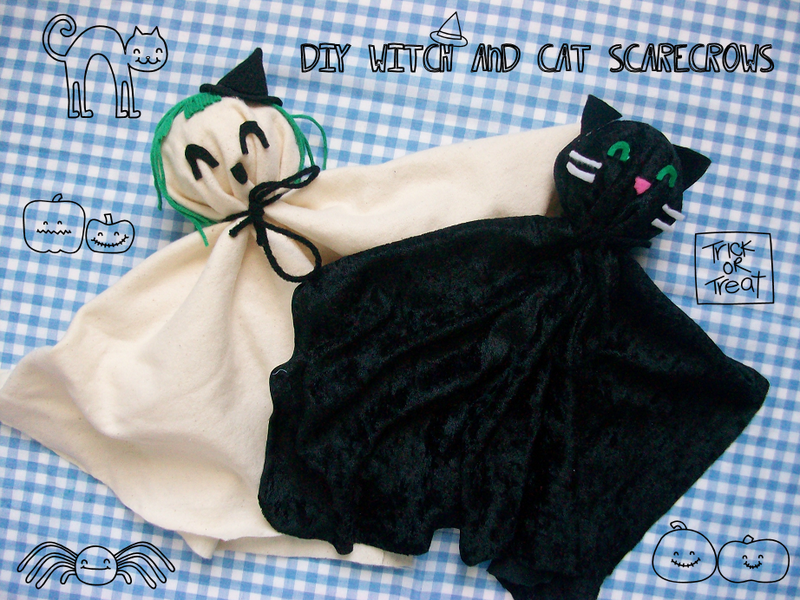 If any of you try this DIY let me know by taging me (@mooeyandfriends) on instagram. 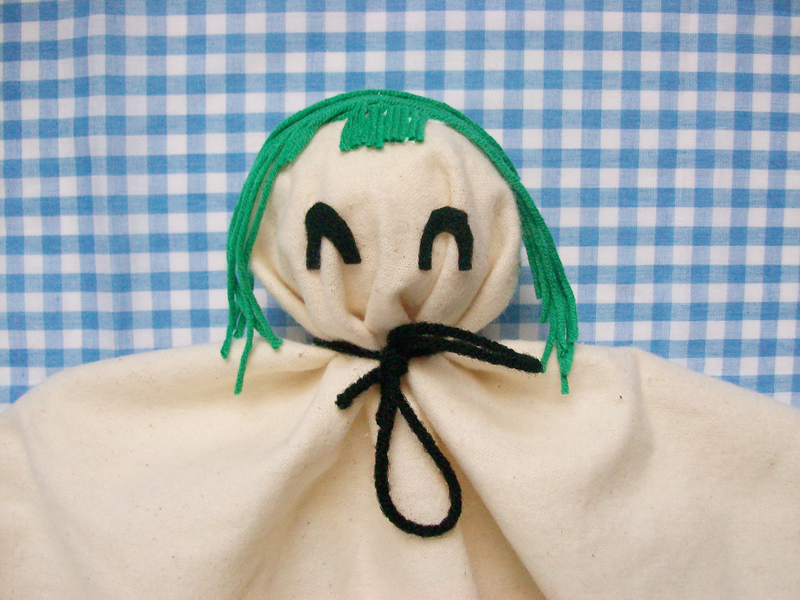 I would love to see what you guys come up with!